In this blog we wanted to highlight three telecommunications providers who have used ClusterControl to power their database management. As technology gets smaller, easier and more powerful, existing Telecommunications providers must continue to innovate to stay relevant while newcomers to the block must come out strong and stable to earn a spot in the crowded marketplace. When it comes to databases, however, telecommunications challenges are BIG. Large amount of data both pass through and are created by their systems & applications. As the growth of data continues to skyrocket, having systems in place to handle that growth (and ensure performance) is even more important than before. In the sections below we highlight three ClusterControl Telecom users, what challenges they faced in building highly-available, dependable and secure database environments. Two of these companies leveraged ClusterControl to fix issues and one from the start. If you want to learn more, you can read their individual case studies which go into greater detail. Running lean-and-mean is a requirement in the Telecommunications industry if you want to show a good profit in spite of being in a commodity industry. Can’l, an internet service provider located in New Caledonia, struggled with managing their databases. Their single DBA was overworked but the requirements on the database were still increasing. The decision needed to be made… hire more people or find a more efficient way. You can read more about Can’l here. If you live in Austria and are in need of an advanced VOIP phone system then Net-Sol is the company to call. Behind the curtains, however, the company was experiencing database performance issues caused by frequent node outages requiring failover; each time resulting in slow downs. They were barely able to keep everything running smoothly and needed a better way to monitor and manage the performance of their MySQL Galera Cluster database clusters. The Net-Sol team turned to ClusterControl and, remarkably, in two days had their existing infrastructure imported, reconfigured, and a load balancer added (HAProxy). From there it was as simple as setting up monitoring, system alerts, and enabling ClusterControl’s auto-repair and recovery features. You can read more about Net-Sol here. Innovation in the telecommunications space is no more apparent than when talking about digital identity systems. These systems allow for an individual to take their government sponsored digital identification securely throughout the web. Sielte, a premier telecommunications provider in Italy, has been developing SielteID in conjunction with SPID, Italy’s digital identity. public system. Unlike the other two companies listed above, Sielte started off trying to find a way to achieve high-availability and performance. After evaluating several vendors and some free open-source tools then decided to use ClusterControl to build their database infrastructure. Sielte quickly deployed a MySQL-based database cluster with automatic failover & recovery to ensure their application met uptime SLAs for their demanding clientele. You can read more about Sielte & SielteID here. 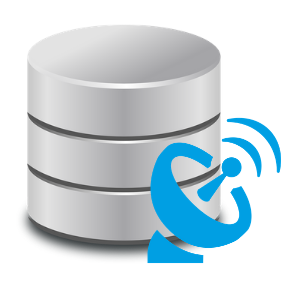 If you have a Telecommunications application that needs highly-available, high-performance databases that can automatically recover when disaster strikes, then why not give ClusterControl a try? eCommerce is a continually growing market, but with the explosive growth comes challenges when managing the databases. In this blog we look at three of our ClusterControl users and how they have tackled some of these challenges.